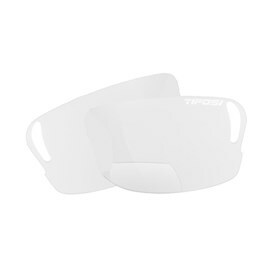 The Tifosi 1045299966 is a perfect pair of bifocal lens for golfers and cyclists. It avoids switching between reading glasses and shades. The lenses have built-in magnified vision for reading cell phones, GPS, cyclometers and scorecards. This lens has a -+2.5 powre and comes with clear colour. The Tifosi 1045299966 has many exciting features for users of all types. The Tifosi 1045299966 is sold as a Brand New Unopened Item.